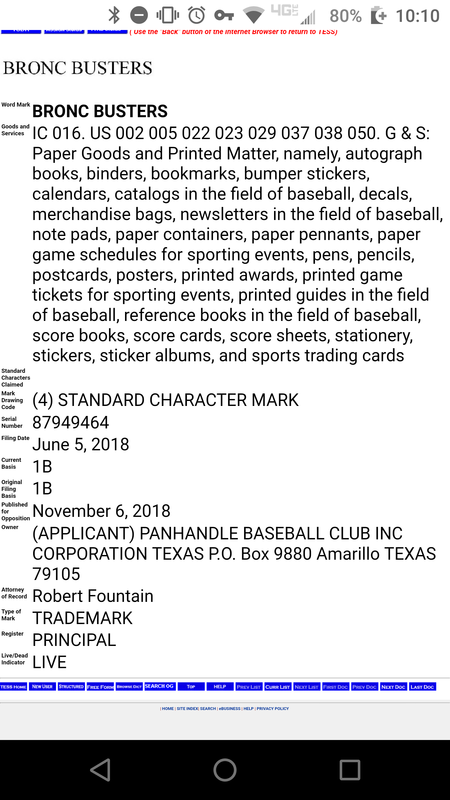 Possible Final Names For Amarillo Baseball Team Found Online! 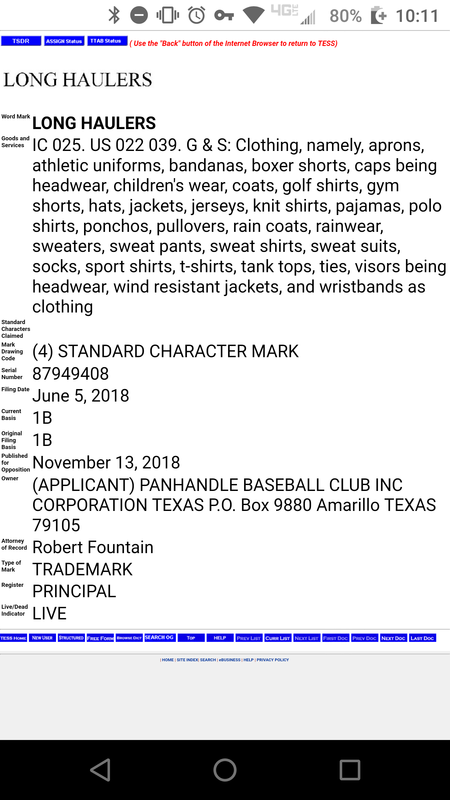 Ever since the winning names for the Amarillo baseball team were announced, people have rolled their eyes while others argue in favor of their favorite. Thanks to this Reddit user, we can get a deeper look into possible names. As one user pointed out, several possibilities have already been registered and trademarked. What's interesting is that the final name may not actually be word-for-word what one of the winning suggestions was. For instance, Sod Dogs is allegedly an option as it is shown in this screenshot being registered and trademarked. Soddies is also shown in the screenshots. At this point there's really no telling what the team name will officially be, once you add in the possibility that the name could potentially just be a play on one of the winners. 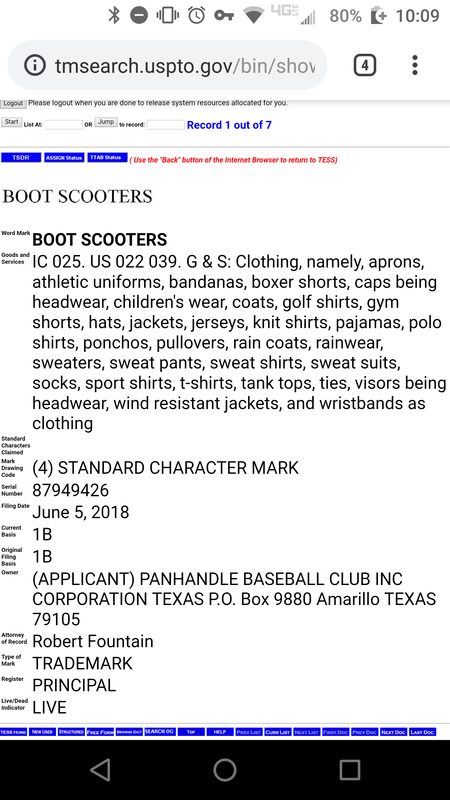 Also included in the comments of the Reddit thread are links to what appears to be trademark applications for Boot Scooters, Long Haulers, and Bronc Busters.